Enter the amount of hours that are available to the project which can be amended here at any time. Should you schedule in more hours than allocated, the billing panel will flag this to you by displaying the number of hours in RED. Subsequently, select your desired currency followed by the external budget total amount. Again, this can be altered here when required. 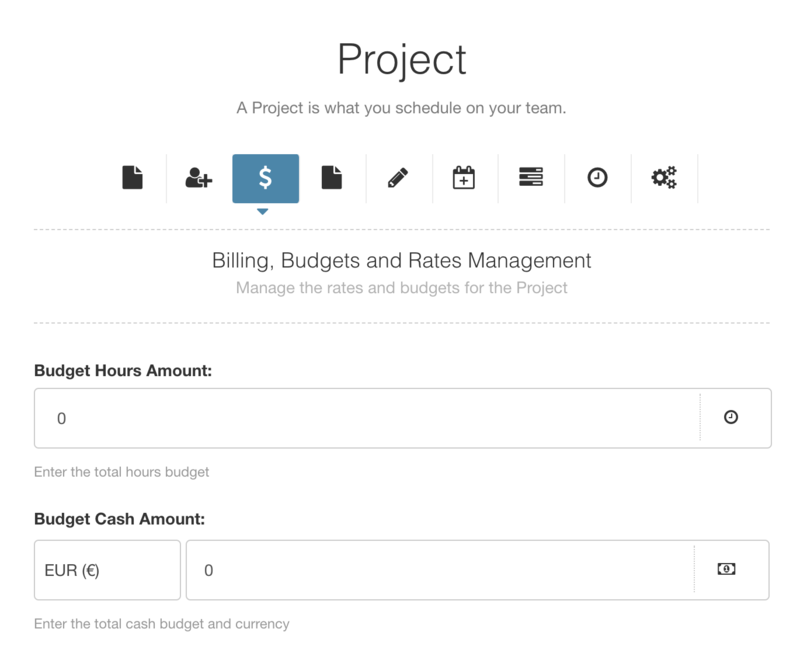 Also, should your scheduled funds exceed the budget amount, the billing panel will flag this to you by displaying the spend in RED. 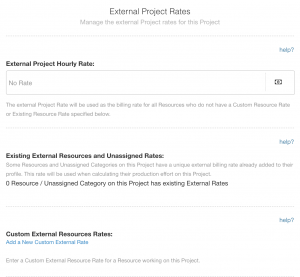 The Project Rate is the billing rate for all resources unless you have a customised a rate for a specific Resource or number of Resources which will be documented further below. The below two images indicates that there are no existing rates for this project or indeed any resources at this point. 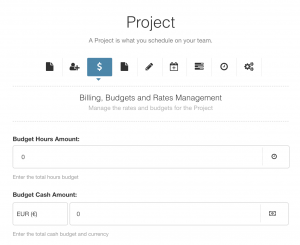 The next step is to apply a project rate for both Externally and Internally. 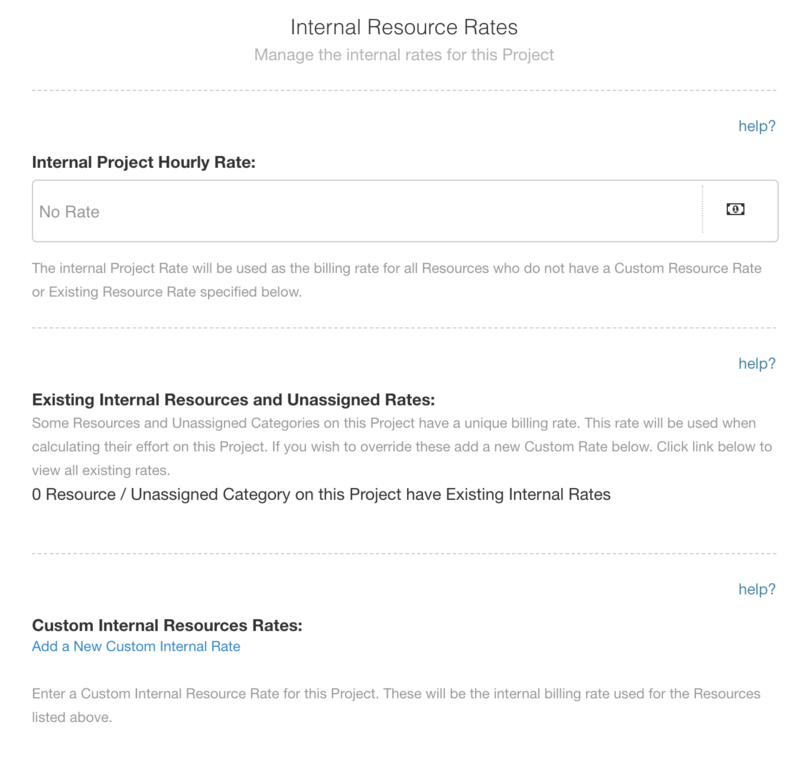 Once you click in the field of External Project Rates and Internal Project Rates respectively, the list of available rates that you have set up in Billing Rates Card will appear. 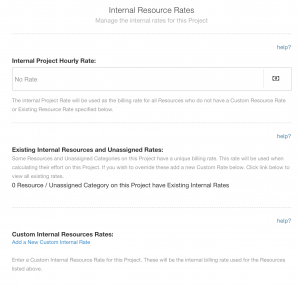 Select the rate you wish to apply as a default project rate that you wish to charge. Here you will see any existing rates that have been allocated to a Resource selected on this project. Should you have a Resource with a customised rate over different dates, it will also show each block of dates you have allocated. Just to reiterate that both External and Internal Rates act independently of each other giving you the freedom to allocate a separate rate or different allocation of dates than External / Internal. To apply a rate from the Billing Rate Card, simply click on the tab where a listing of rates shall appear. Select from this list or alternatively you can add a new customised rate by clicking the first option ‘Add New Rate’. 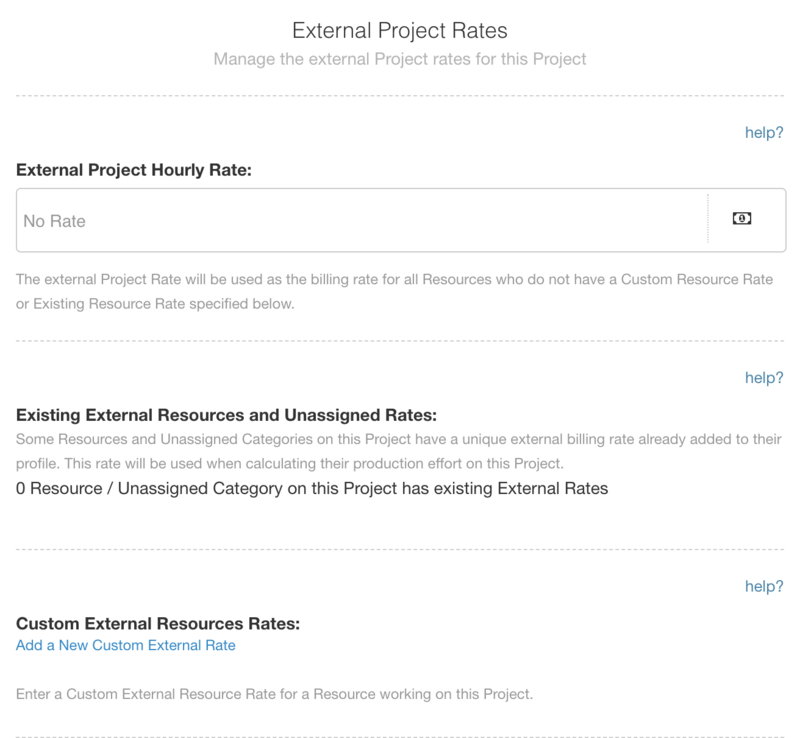 You have the ability to add a new customised external / internal project rate by clicking ‘Add New Rate’ from the drop down list. This rate will act as the external / internal billing rate as long as there are no custom or set resource rates already defined. To add a new rate, simply click on your desired currency, apply the rate amount you wish to bill followed by the name you wish to refer to. Lastly, ensure to select the green tick box to confirm or the red X to cancel.